Have you ever stared out at the night sky and felt dwarfed by the enormity of it all? Likewise, have you ever looked inward to our purpose in life and felt the same thing? In many ways, being human means being subject to the inherent loneliness in the search for permanence; a pursuit that forces us to contemplate the emptiness of the cosmos and the emptiness of our own free will in equal nature. 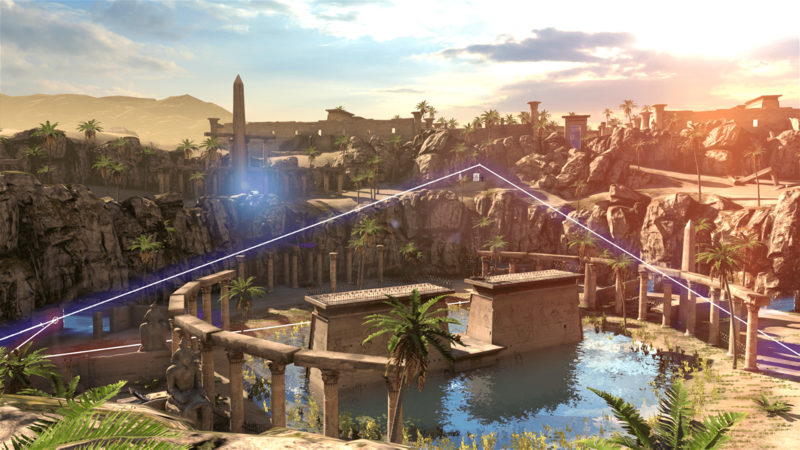 The Talos Principle won’t provide answers to these ruminations, but it will help you better explore them, challenging your own notions in the process in a way that few games have ever managed. Awaking, quite suddenly, in an Grecian garden, a booming voice roars down from the heavens and announces itself as Elohim, God of this world. As a child of his, you have the sole purpose of exploring the lands before you and collecting tetrominoes (Tetris pieces) in order to achieve eternal life. You are free to explore everywhere except an ominous tower. Without much more explanation, you are left to pursue your mission. But it only takes a few minutes before you begin to understand that, despite the scenery and obvious biblical parallels, this world is wholly unreal. Amid the hewn and tumbled stones of ancient pantheons, steel signposts point to the location of tetrominoes. Computer terminals beep at you from various locations, and even the world itself occasionally glitches and disfigures temporarily in a way that will make you wonder if the game itself is about to crash. But the biggest revelation you have is when you see your hands for the first time and realize that, despite the humanness of the world around you, you are some kind of mechanical construct, a robot. While all of these sensory clues will taunt you, you’ll have no choice but to ignore them in order to pursue the only tangible goal you have: collect tetrominoes. This is but one of the many areas where The Talos Principle speaks into our own lives in a very real way. While we don’t always know why we do a thing, the process of doing becomes a validation in itself. And so we do. 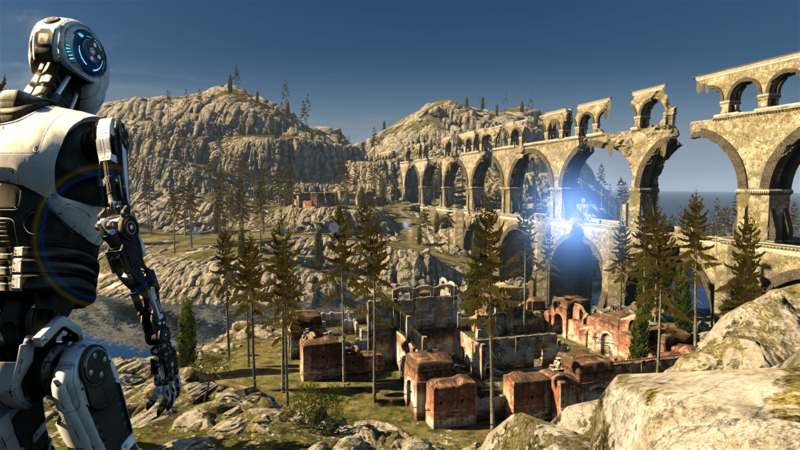 The Talos Principle is fundamentally a first-person puzzle game. Each tetromino is hidden at the end of a complex puzzle that you must navigate and solve in order to access. Utilizing a set of tools that slowly grows as your progress, you’ll manipulate objects and use logic to solve various spatial conundrums until discovering that perfect combination that unlocks the path to the precious tetromino. Collecting them provides access to new areas and new equipment to solve new puzzles, a gratifying cycle of challenge and reward that tempted me to stay and play for hours on end. The puzzles in The Talos Principle are so plentiful, and each so exquisitely designed, that working through them would be satisfying wholly on their own. Yet, as rewarding as they are, they only represent one dimension of The Talos Principle‘s challenge. Strewn throughout the world are computer terminals you can access to read emails and fragments of historical text that help provide insight into the heavy themes presented in The Talos Principle. For those with a thirst for history and philosophy, and the patience to spend a good portion of the game reading, these moments begin to chip away at the true heart of The Talos Principle. But where the game begins to breathe life into its world is through the library assistant, a program designed to provide help through basic conversation. As you continue to play, the program continues to evolve, eventually leading to a continual battle of wits as the program begins to challenge you ethically and philosophically in a way that transcends the confines of the game world. While I certainly spent hours merely staring at the screen trying to contemplate a puzzle, I often spent the same amount of time trying to contemplate a question that the library assistant lobbed at me. And therein is the true genius of The Talos Principle: A game where half of its challenge is entirely cerebral, a contemplative exploration of what it means to be human and where the borders of self begin and end. While the ultimate fruits will require you to engage with the game on an intellectual level that some will be unwilling to commit, those that do will be rewarded with one of the most thoughtful and evocative experiences ever built into a videogame. 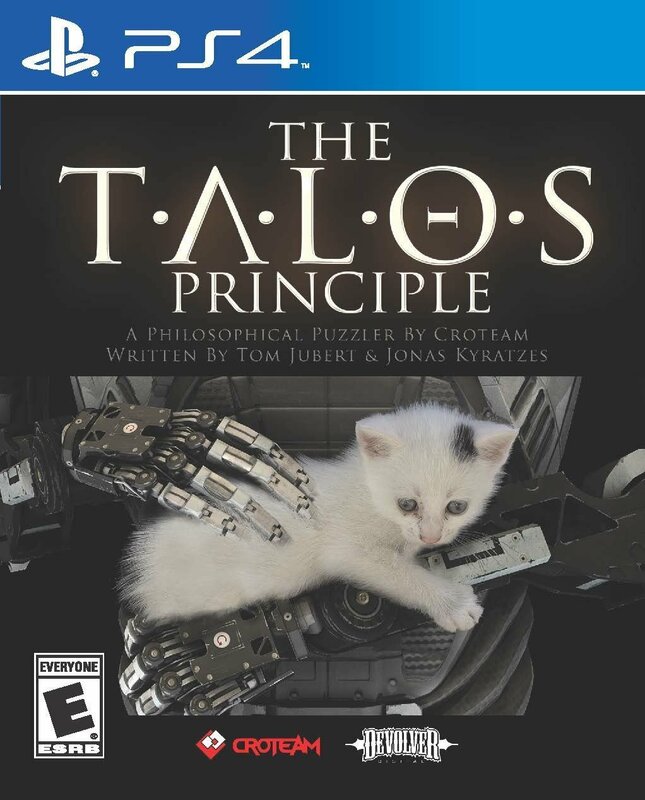 Even better, The Talos Principle comes coupled with the Road to Gehenna expansion pack which provides another 20 hours of excellent puzzle solving while also pivoting to explore themes of community and art with the same intellectual zeal. Together they represent a serious value. I could write a few thousand words on The Talos Principle and still have things left to say, so I’ll say this: play it. While the sweetest fruits will be saved for those with an appreciation of philosophy and history, the elation of solving a puzzle that you spent an evening trying to crack is a reward that anyone can enjoy. 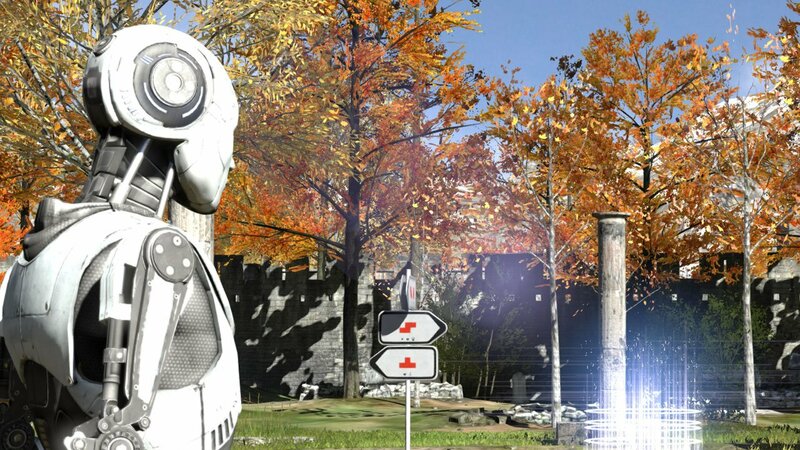 The Talos Principle: Deluxe Edition is beautiful, not because of any visual aesthetic, but because, even though you’ll explore its world as a lone robot, you’ll never feel more human. The Talos Principle is both serene and thoughtful; an engaging exploration of sentience and humanity that will challenge you in more ways than one.